Karina's Kreations: Wonderful Moments Bridal Gift Bag! 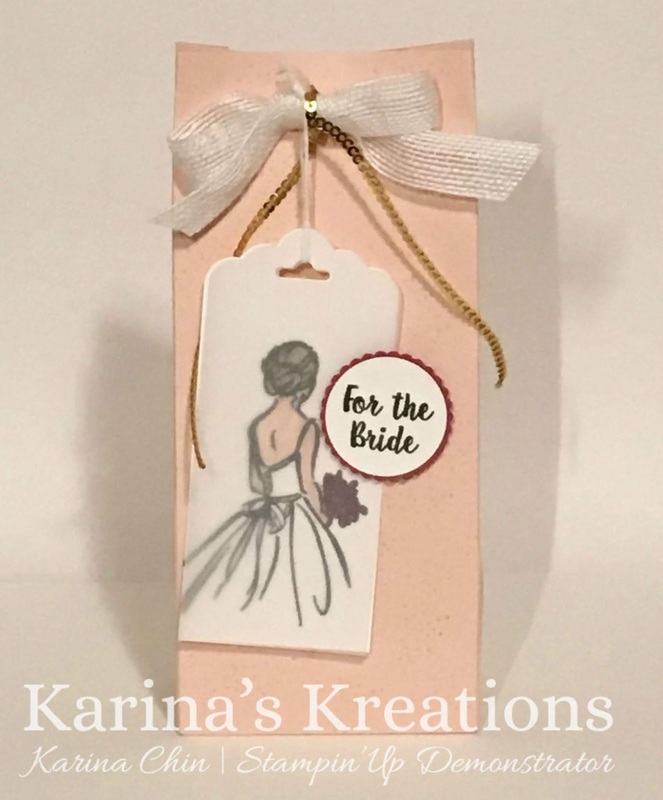 Wonderful Moments Bridal Gift Bag! 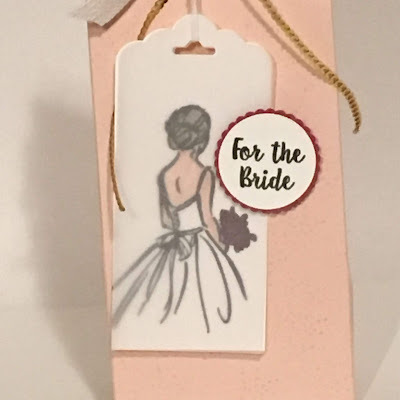 It's easy to create gift packaging with Stampin'Up products. This cute little bag could hold a small gift, gift card or be designed as Party Favours. The bag was made with the Gift Bag Punch board and 8-1/2' x 11" Powder Pink card stock. 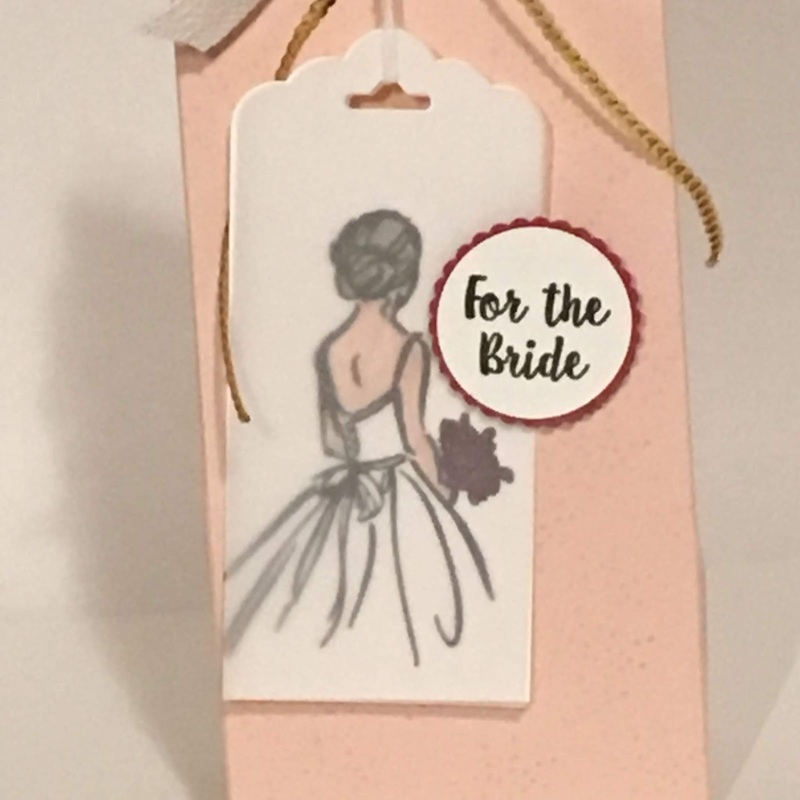 I stamped the bride image with Black Memento ink and colored her in with Stampin' Write markers. Vellum was added over top of the bride softening her image. Powder Pink is a retiring color so make sure to order you ink refills, paper and embellishments before they are gone forever.